The latest Nightwatchman quiz – hosted once again in The Long Room at The Kia Oval – will take place on Monday April 3. And we’d love you to join us! The quiz, a long-held tradition, sees teams of writers, readers and friends of The Nightwatchman do battle for bragging rights and some lovely prizes, including stylish pens supplied by our sponsors, Cross. We always have a charity partner too, and this time we’re raising cash for Cancer Research UK. As well as donating a proportion of ticket sales, we’ll be holding a raffle. Teams of four (or fewer if you’re really confident) are invited to join us for what is always an entertaining evening, hosted by quizmaster and ‘Brainman‘ Marcus Berkmann. 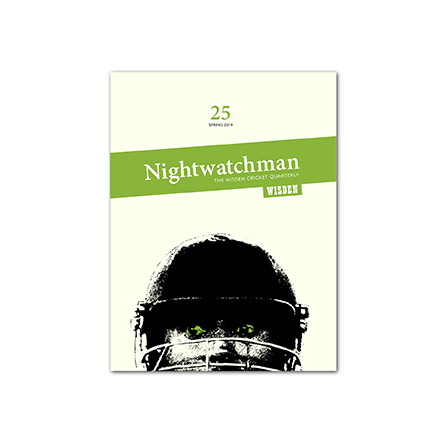 Entries cost £40 a team, which includes a copy of issue 17 of The Nightwatchman for every team member. Spaces are limited so if you’re interested in entering a team or finding out more please email us at contact@thenightwatchman.net by Friday March 24 and we’ll send across all the details you need to know.